Registration Open for our 2015 Working But Still Poor Conference! Register Today! Register today for our 5th Annual Working But Still Poor Conference, being held on Friday, March 13th. 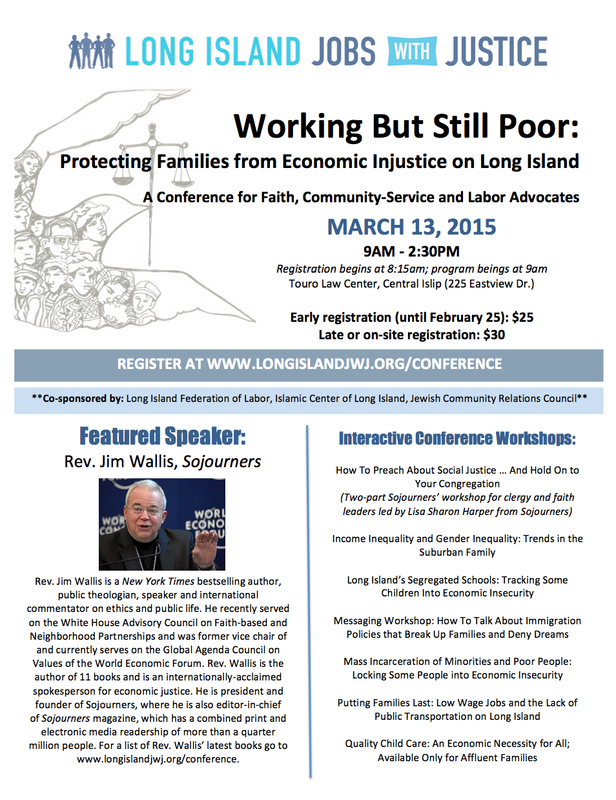 This year’s theme is “Protecting Families from Economic Injustice on Long Island”. 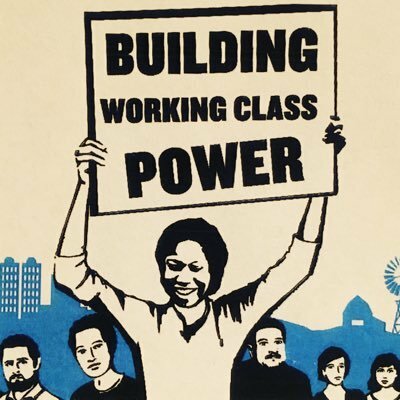 Workshops will reflect on the structural injustices impacting working families across Long Island and present opportunities for advocacy and movement building. Visit https://longislandjwj.org/conference/ for a full list of workshop descriptions and presenters! We are honored to have Rev. Jim Wallis as our closing keynote speaker. He is the president and founder of Sojourners, a national Christian organization committed to faith in action for social justice. Rev. Wallis recently served on the White House Advisory Council on Faith-based and Neighborhood Partnerships and was former vice chair of and currently serves on the Global Agenda Council on Values of the World Economic Forum. Rev. Jim Wallis’ most recent books include: On God’s Side: What Religion Forgets and Politics Hasn’t Learned About Serving the Common Good; Rediscovering Values: A Guide for Economic and Moral Recovery; The Great Awakening: Reviving Faith & Politics in a Post-Religious Right America; God’s Politics: Why the Right Gets It Wrong and the Left Doesn’t Get It. We are also very excited to have Lisa Sharon Harper, Sojourners’ senior director of mobilizing, lead a two-part workshop for clergy and congregational leaders on how to preach about social justice. Lisa was the founding executive director of New York Faith & Justice—an organization at the hub of a new ecumenical movement to end poverty in New York City. She has written extensively on tax reform, comprehensive immigration reform, health-care reform, poverty, racial justice, and transformational civic engagement. If you have any difficulties with or questions about registering, please contact Kimberly at 631-348-1170 ext. 317. ← It’s Not Your Ordinary Tuesday. It’s Giving Tuesday!